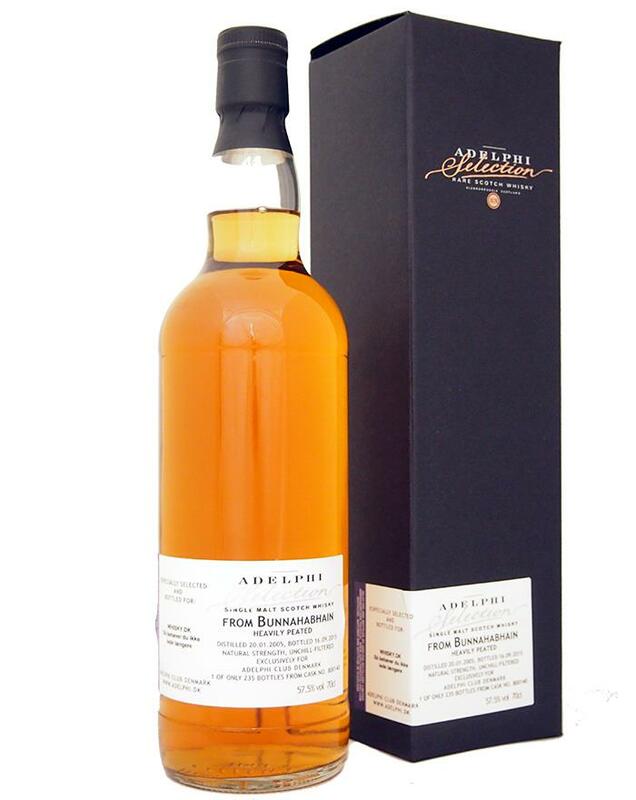 This heavily peated Bunnahabhain is bottled for Adelphi Club Denmark. It has cask number 800140 and only 235 bottles were made. Heavy Islay peat and dried fruits in the smell. Sweet vanilla peat, and if you don’t get your nose too close, you don’t sense that it is almost 60 %. Very powerful in the taste. Both in peat and alcohol. I also get some lavender notes that goes all the way into the finish. It really overpowers the other flavours that are trying to get forward. Again some dried fruits and vanilla. Nothing wrong with the quality, but the lavender notes just isn’t for me. Lots of power and flavor in this whisky, so I could imagine it would be a hit if the flavor profile matches your preference! I will give this 83/100 (22/20/20/20).